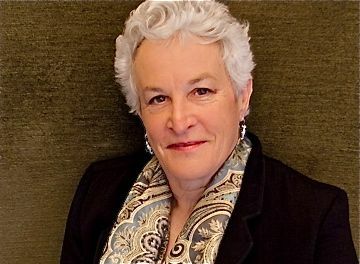 Anna Pollock has 40 years’ experience as a consultant, strategist, speaker, and change agent. Described as an irrepressibly curious “renaissance woman”, her strength derives from an ability to dig beneath surface trends to find and make sense of the real drivers of change combined with a creative capacity to develop innovative responses. She enjoys dual Canadian and British citizenship having worked in each country for over 15 years and is now a much sought after speaker internationally, focusing on the deep changes affecting tourism and community development. While resident in Canada she undertook seminal work in human resource development, sustainable tourism, health tourism and adventure travel and received The Visionary of the Year Award from the tourism industry in western Canada in recognition of her contribution to thought leadership. In the late 1990s, she conceived and developed the first destination IT strategy based on the Internet and later acted as CEO of a UK-based software company that developed a Destination Management System and became recognised by the UK government as “best of breed”. For over a decade – and long before it became a fashionable to call oneself a “new media guru”, Anna was recognised as a thought leader who understood the deeper impacts associated with connectivity and interactivity. In 2007 Anna turned her attention towards climate change and, in anticipation of the need by the tourism industry to reduce its carbon footprint, created The Icarus Foundation a not-for-profit agency formed to assist the Canadian tourism industry constructively address climate change. Saddened by the hesitancy with which mainstream tourism approached the need to reduce its environmental impact and heartened by research that shows customers might be changing faster than suppliers, Anna is developed the concept of Conscious Travel to that faces the oxymoron of tourism growth and sustainability head on. Believing that tourism cannot continue to grow indefinitely on a finite planet without destroying the beauty and cultural integrity of the places and people it depends on, Anna believes that we have to find a better way – one that replaces the concept of more with better and focuses on delivering better for more. Conscious Travel offers a new model or approach to destination and business development; is developing a community-based, collaborative action learning program that turns hosts into change agents; and will become a global network of self-organising communities creating a better tourism in their own unique way. A 20 page synopsis with one page summary – Conscious Travel, not more but better, better for more – may be downloaded from here.